Vice President Nicolas Maduro said President Hugo Chavez's enemies had poisoned him with cancer before announcing that two US Air Force officials would be expelled from the country for spying on the military and plotting to destabilize the country. Maduro identified one American as the Air Force attaché and said he had 24 hours to leave the country. "We are aware of the allegations made by Venezuelan Vice President Maduro over state-run television in Caracas, and can confirm that our Air Attache, Col. David Delmonico, is en route back to the United States," spokesman Lieutenant Colonel Todd Breasseale said in a statement. Foreign Minister Elias Jaua later announced that two Air Force officials in total had been named "persona non grata" and were being kicked out of Venezuela, AFP reports. Maduro also accused President Hugo Chavez's enemies of poisoning him with the cancer he has been battling for nearly two years. "Behind all of [the plots] are the enemies of the fatherland," he said on state television. Maduro spoke after the government announced Chavez was in "very delicate" health after undergoing cancer surgery in December. 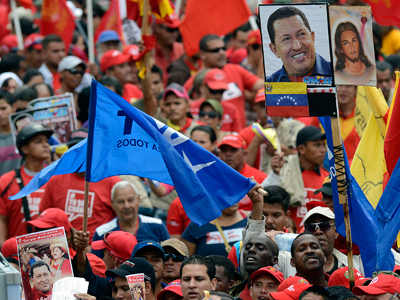 Hugo Chavez died hours after Maduro's statement. 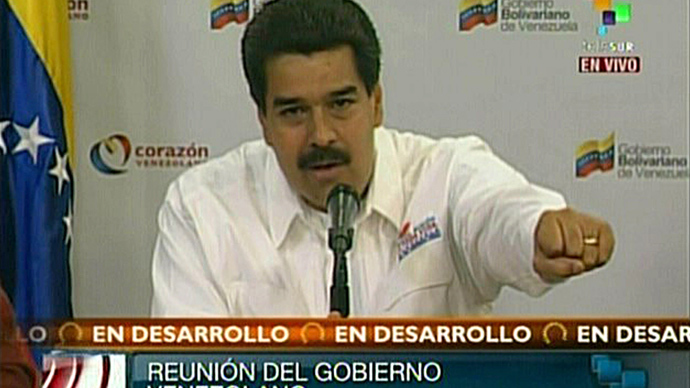 "I don't want to make any reckless accusations," Chavez said in light of something he found to be "very, very strange." “Would it be strange if [the United States] had developed a technology to induce cancer, and for no one to know it?" he asked. In June 2011 Chavez confirmed in a televised address that he was recovering from an operation to remove an abscessed tumor with cancerous cells from his pelvic region. The following month, he returned to Cuba to receive further treatment. In July 2012, Chavez declared that he had fully recovered from cancer just three months before the presidential poll. 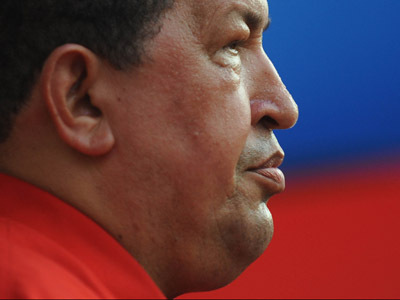 Chavez won a fourth term in the October election, only to return to Cuba the following month to receive more treatment. 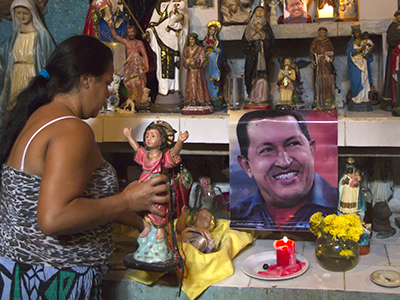 In December, Chávez announced he would undergo a new operation after doctors in Cuba detected malignant cells. Chavez suffered a series of complications following the surgery which had caused respiratory failures. Chavez was unable to attend his inauguration in January due to poor health, and only returned to Venezuela the following month. The Vice President’s comments come as the Venezuelan government and senior army officials are said to be holding an emergency meeting, according to the local state TV. The report did not mention the planned agenda of the meeting, which sparked media speculation as to whether Chavez was soon leaving his post. Rumors of Chavez possibly returning to Cuba to continue his cancer treatment spread after unnamed Venezuelan sources reported it to ABC.